Imaging of the aorta is mainly done using MR and CT as outlined in other chapters. Both techniques have the advantage of being able to depict intraluminal, intramural, and surrounding pathologies with high spatial resolution and excellent tissue contrast. However, describing the function of the aorta itself as well as the interplay between blood flow and aortic remodeling is challenging. 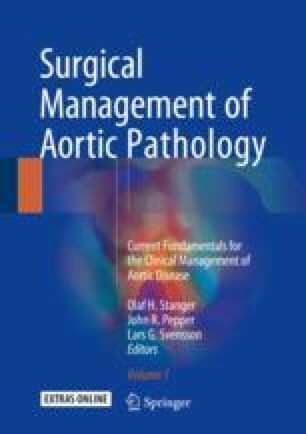 With the advent of a novel MR technique, called 4D flow, new insights into aortic pathophysiology are possible (Markl, Kilner, Ebbers, J Cardiovasc Magn Reson.13:7, 2011).